Stranded across the oceans and cut-off from the commercial and cultural exchanges that stretched from the Mediterranean to the Far East, you might expect the ancient peoples of South America to have been stranded in the stone-age. Technologically they didn’t get much further than the neolithic, but the ancient cities and monuments they left behind clearly demonstrate that they had developed highly sophisticated and well-organised societies whose engineering accomplishments matched those of the Old World. In fact, at times, they match them a little too closely, giving a tantalising sense that there must have been ancient contact. Curiously, some examples exceeded those of the Old World, suggesting they were more advanced and better skilled than their remote cousins. These were incomprehensible to the Conquistadors when they first arrived and were subsequently ascribed to be the work of giants or supernatural powers. Even as science tightens its grip on our imagination, providing logical answers everything that surrounds us, some of these examples still elude rational explanation. They remain profound and inexplicable, standing silently in defiance of our modern logic. They attract thousands of visitors each year, many of whom want to believe they were created by a higher intelligence – a mystical or extra-terrestrial power. And whilst archaeologists, historians and scientists work tirelessly to solve their riddle, they still remain the mysteries of the Andes. This article contains a collection of some of the most incredible examples of human endeavour, which lie in close proximity in southern Peru and northern Bolivia. Enigmatic and enchanting, they capture the imagination and reignite an innate belief that the world does extend beyond science and rationality. Furthermore, they can be visited in a single trip that will take between 14 and 20 days. 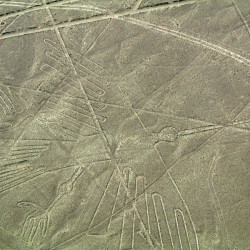 Whilst not in the Andes, the proximity of the Nazca Lines to the Andes makes them an essential part of any trip to this part of the world. 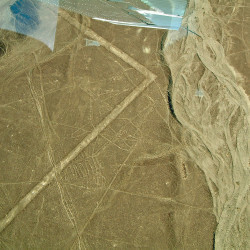 One of the true mysteries of the world, the Nazca Lines are a curiosity like no other. 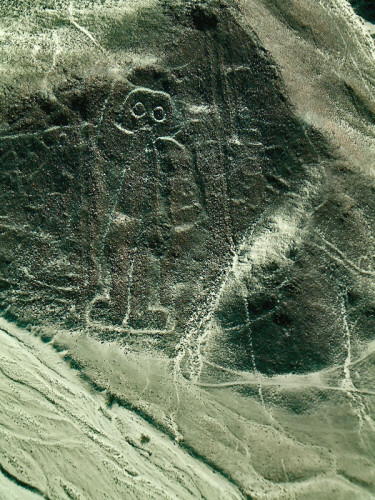 Formed simply by moving the darkened rocks of the desert plains to reveal the light sand beneath, the Nasca Lines are a set of geometrical and zoomorphic geoglyphs that are thought to have been created sometime between 300AD-600AD by the Nazca culture. Though simply made, many of the geoglyphs are hundreds of metres in length and impossibly regular. The enigma is how and why these carefully crafted images were created on a scale so large they are only visible from the air (long before there was any way of viewing them). From the ground they appear as meandering pathways and it is impossible to determine many of the larger images – which is why they were left undiscovered, in plain view, until the 1940s. Perhaps the most renowned image is that of the “Astronaut” who , by seemingly being from another planet, adds another dimension to the argument of who created the images and why. The earthly explanation is that the geometric shapes were formed by observing the stars and marking out celestial risings, whilst the zoomorphic images represent the constellations and were formed by upscaling drawings using an elaborate system involving ropes and stakes – but no evidence has been found that support these ideas. Local belief is that priests or shamans were able to levitate themselves or use astral projection to rise up and direct workers on the ground – it goes without saying that there is little supporting evidence of this too. These enigmatic shapes that stretch endlessly across the desert floor also stretch beyond comprehension. They defy all logic and appear too large, too abstract and too complicated to be the work of ancient mankind. There is more to Nazca than lines in the dirt; such as the ruins of Cahuachi that date back 2400 years; the Chauchilla Cemetery with its contorted mummies resting upright, in situ; and the Cantayoc aqueducts, which are a bizarre set of spiral wells carved deep into the sandy dunes to supply irrigation to the ancient fields. All of these are worth visiting, so once you have enjoyed a white-knuckle ride in a stunt-plane ogling the enormity of the Nazca plains and the profound images etched into its surface, spend the rest of the day taking in the comparatively normal sight of mummies and spiral wells. 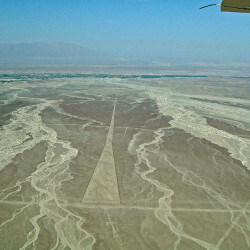 As already stated, the only way to view the Nazca Lines is from a plane – the viewing tower, whilst cheap, is hugely ineffective. Located high in the Andes, Cusco is a truly remarkable and beautiful city. Formerly the capital of the Inca, the Spanish transformed it into its present colonial form following their arrival in 1534AD. Due to its lofty and impractical location, Cusco has avoided modern industrialisation and has retained its colonial charm – especially around the Plaza De Armas, where the Spanish dismantled the Incan temples and palaces and built cathedrals and palatial mansions in their place. 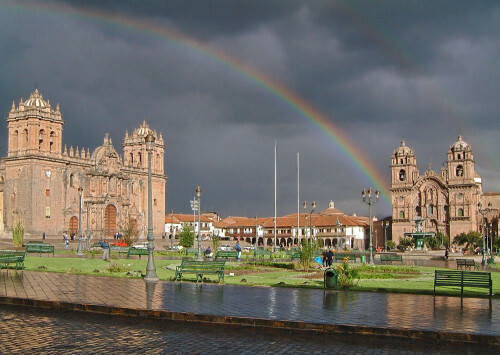 Cusco’s altitude of 11,400 feet and its proximity to the equator make it a city of eternal spring. Each night you will immerse yourself beneath thick blankets and every morning you will feel a little unwilling to leave the snugness of bed. However, the sun will bring a satisfyingly fresh warmth as you set off to explore the many mysteries of the Andes that surround the city. 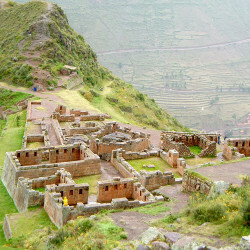 Prior to the Inca, the city was the home of the Killke people and the remains of their city along with that of the Inca can still be seen in the foundations of the many colonial buildings. Local legend says that the city was built in the image of a Puma when seen from above, and tourist maps of the city demonstrate this quite nicely. It seems far fetched, but as you become accustomed to the engineering capabilities of the Inca and their predecessors, it not only becomes plausible, it actually feels probable. Cusco: Puma Wall Another marvel that maybe considered a fluke rather than design is the “Puma” found weaved into the incredible stonework of Inca Roca (a cobbled alleyway near the Plaza De Armas). 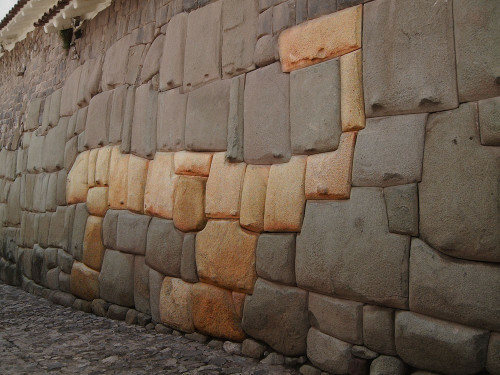 The wall originally belonged to the Palace of Inca Roca and leads around onto the neighbouring street, Hatunrumiyoc, where you will find the infamous 12 sided stone. It is definitely worth spending some time here admiring the amazing craftsmanship, counting the sides of stonework and trying to slip paper between the cracks of these ancient walls. You should also visit the Qurikancha, which is largely buried beneath the Church of Santo Domingo. The Qurikancha was the main temple within the Incan city and its walls were plated with over 700 sheets of gold, each weighing an estimated 2kg. The temple was built over by the Conquistadors and the gold taken back to Spain, but its walls of finely cut stone were left intact to form the foundations of the church. There is a small museum at the site at which you can learn more. Come the evening, Cusco’s adorable and quaint restaurants are frequented by street musicians who play a happy mixture of Andean and Spanish music, creating an authentic atmosphere like few other cities on earth. 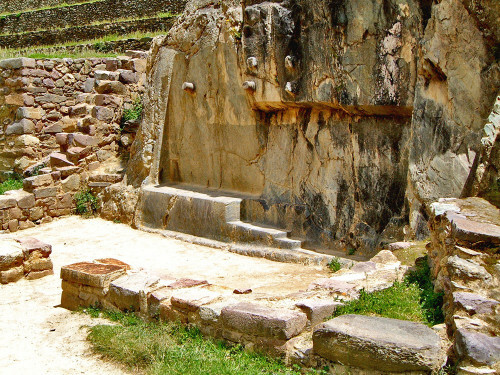 Cusco is the perfect launch-pad for exploring many fascinating and inexplicable ruins. None are easier to visit or more inexplicable than the indomitable walls of Saqsaywaman. Perched above the Cusco, and just a thirty-minute walk from town, Saqsaywaman is likely to have been a precursor to the sprawling town below. First occupied by the Killke from around 900AD, its huge walls are presumed to have been added as fortifications in around 1100AD – but they are so excessively extravagant that it casts doubt on them being built for this simple objective. Some of the larger blocks are conservatively estimated to weigh over 120 tons, with the largest standing 8.4 metres tall. Not only that, but they were carved into complicated interlocking shapes and then somehow raised and mounted into the walls. Furthermore, they are slotted together without mortar to bind them, leaving barely a hair’s breadth between them. There is something inhuman about these walls – they seem impossible and the reasons given for their construction implausible. 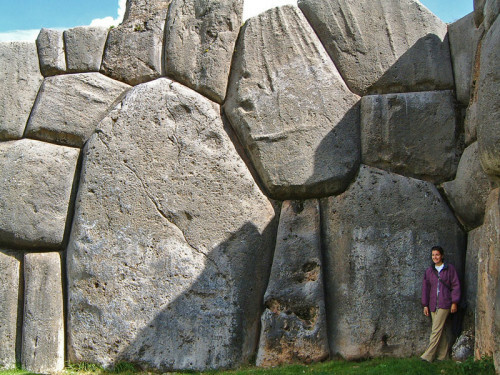 The walls of Saqsaywaman are one of the great mysteries of the Andes. They are simply incomprehensible. 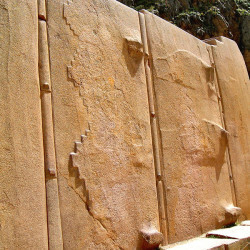 Just 17 minutes walk from Saqsaywaman is the small funerary site of Qenqo. 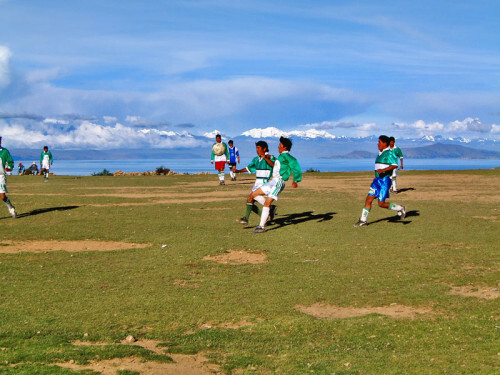 Whilst the site is small, it still holds one of the mysteries of the Andes. Q’enqo means zig-zag in Quechua and is a reference to the unusual zig-zag canal that is carved into the huge sacred rock at the heart of this curious sanctuary. 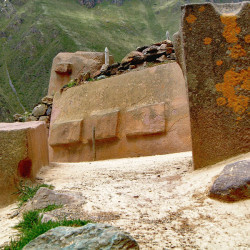 Sacred rocks are a familiar sight at the centre of Inca ruins and played a fundamental part in their religious theology. 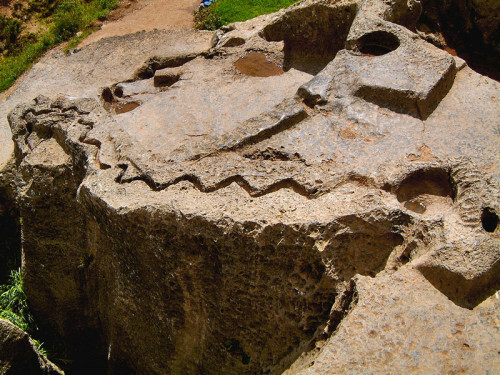 At Q’enqo, the sacred rock is profoundly large and rather than being placed within a temple enclosure at the heart of the site, at Q’enqo the rock is the sacred sanctuary and has been carved and manipulated to create several defined ritual spaces. 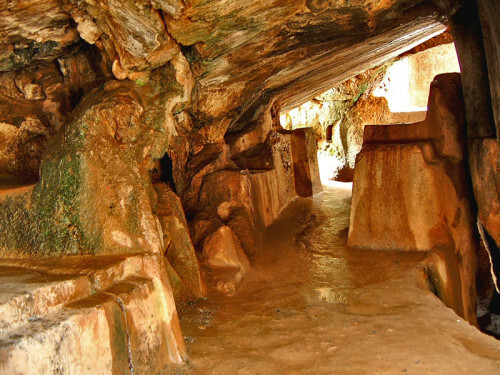 The most defined space is inside, where the sacred rock has been carved out to produce a monolithic cave with several benches or altars. The most popular theory is that Q’enqo was used for funeral ceremonies and that the interior space was a hollowed crypt where the dead were embalmed and prepared for mummification. The deceased body would have rested inside the sacred sanctuary, safe from harm and enveloped within this rocky womb for several days. What purpose the distinctive zig-zag canal served is a complete mystery, however it is though that liquid would have been poured into the receptacle at the top and then flowed down the channel – there is no evidence that this was its purpose, but it is the most rational answer. 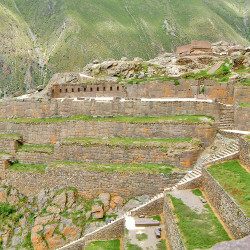 Saddling a narrow hilltop between two peaks at the entrance to the Sacred Valley, the enchanting ruin of Pisac strikes familiarity with the the infamous city of Machu Picchu in its design and setting. 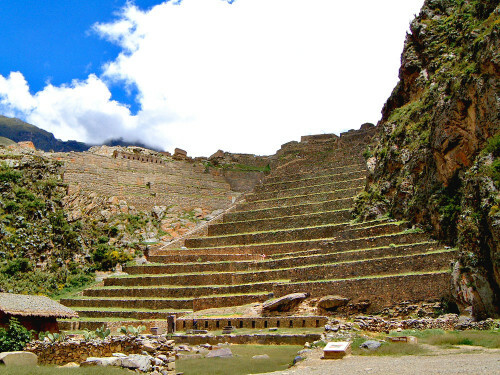 Although not comparable on scale, visiting Pisac brings the same feeling of tranquillity and awe, especially when entering the site from the Qantus Raccay entrance, where you will be immediately confronted by an incredible bank of agricultural terraces. 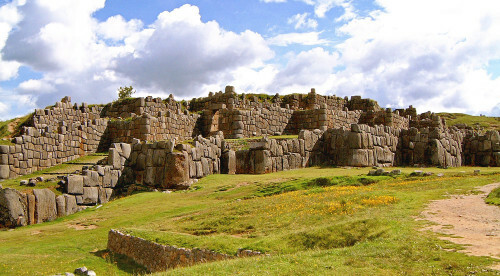 Climbing up the steep hill brings you onto a section of Inca Trail which leads you through the Amaru Punku (Gate of the Serpent). 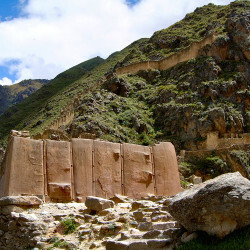 You then meander through different districts of the city, including the military area of Q’alla Q’asa, the bizarre cocoon tombs of T’antana Marka, the urban district of Qantus Raccay, the Inca baths and the residential area of Pisaqa. 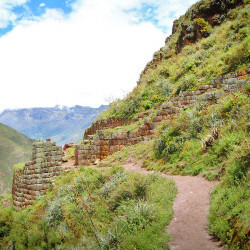 Finally, when you reach the top, you will find the Ceremonial Centre, featuring the ubiquitous intricate architecture of the Inca, a curious drain and the Inti Watana, or Hitching-Post of the Sun. 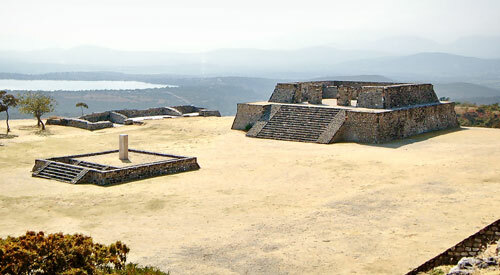 The reasons for building a ceremonial centre on the top of a hill can ascribed to its spiritual power, whilst the reasons for building the military and residential quarters on the sides of the hill can be ascribed to its natural defences. However, the reasons for building over 500 agricultural terraces on the side of a low hill, leading all the way down to a valley floor that provides ample flat land for agriculture, remains one of the great mysteries of the Andes. 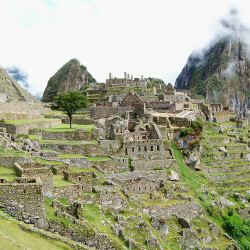 The heavenly city of Machu Picchu needs little introduction. Located high in the picturesque wildernesses of the Andes ranges, Machu Picchu’s enchanting setting inspires feelings of tranquillity, awe and adventure. Often pictured nestling amongst the clouds, this fairy-tale city sparks imagination and profound contemplation. If God had built a city on earth, then surely Machu Picchu would be it. One of the great mysteries of the Andes is how Machu Picchu became the “Lost City” when a paved pathway led directly from Cusco to the heart of the city. The most likely reason for this is that it had already been abandoned prior to the arrival of the Spanish in around 1530AD. 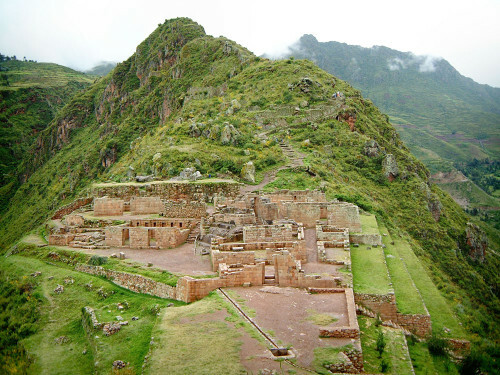 This abandonment is perplexing, considering construction only began in 1450AD and that the city was left incomplete, during a period when the Inca appeared to be at the peak of their power. 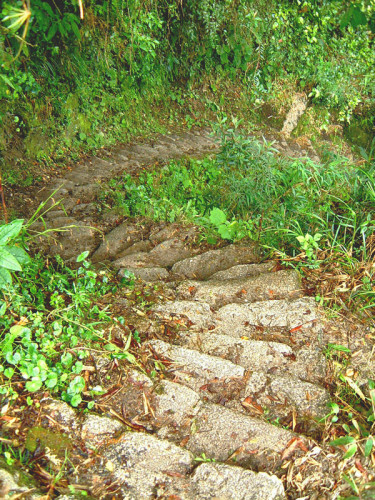 Stairs on the Inca Trail More than 500 years on, the rediscovered pathway is now the busiest it has ever been and is a a testament to Inca over-engineering. Known as the Inca Trail, the path takes you on an incredible three-day journey through the relentlessly beautiful terrain of the Andes, before dropping you down through the mist and into Machu Picchu at dawn on the fourth day. The trail is part of a ancient network of roads and paths that extend for 24,800 miles along the Andes, from Columbia through to Chile. Whilst the paved trail is an amazing accomplishment, the endless stairway does make the trek very tiring (contemplate getting up in the morning and then walking up stairs until supper, that is effectively day 2 of the trail). Along the way you will pass a number of other ruins and several ancient terraces that still brim with maize. 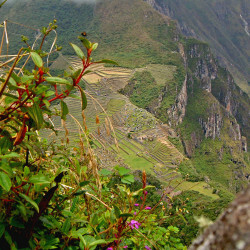 What is most apparent from walking the trail, is that Machu Picchu is not high up in the Andes at all. 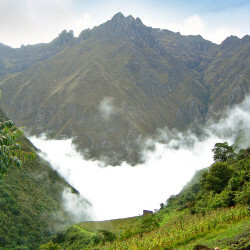 In fact, it is located just 8000ft above sea level, which is a 3000ft lower than Cusco. However, the drop from this hill is sharp, falling away a breathtaking 2000ft to the River Urubamba directly below. Within the city, you are undeniably perched amongst the mountain peaks in a sanctuary of the clouds. It is one of the most incredible cities ever built on earth. Having a guide to show you around the architectural delights and enigmatic wonders of Machu Picchu is essential (you aren’t allowed in without one), which is a good thing too, because there is a lot to miss if you don’t know where to look. Ollantaytambo was a pre-Inca settlement that was sacked by the infamous ruler Pachecuti, who then erected the stunning architecture that is on show today. As you approach the ancient city, you will see its dominating walls and terraces high above you. These retaining walls and features make it look like a formidable fortress, which is what early explorers believed it to be. 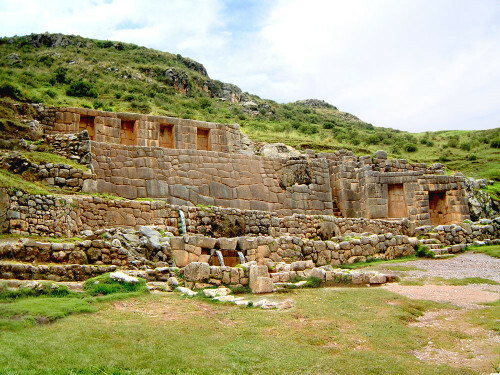 However, it was simply part of Pachecuti’s estate and was designed to demonstrate the great king’s power and pay homage to the gods that empowered him. 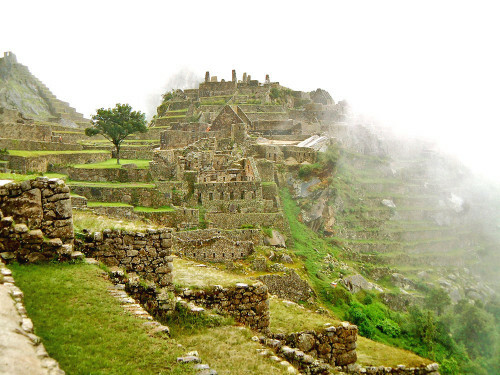 Nevertheless, when the conquistadors arrived, it was Ollantaytambo that stood strongest and its leader Manco Inca led successful campaigns against the Spaniards before deciding it was best to retreat to Vilcabamba. 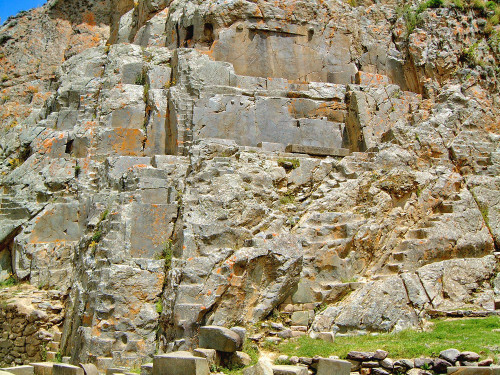 Wall of the Six MonolithsWithout doubt, Ollantaytambo’s Wall of the Six Monoliths is one of the most iconic and baffling pieces of Inca architecture yet to be discovered. 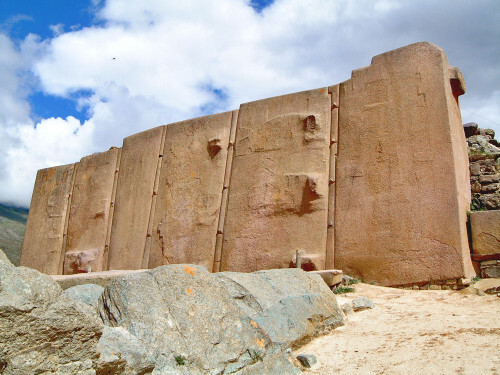 Standing approximately 36 feet wide and 14 feet high, the wall is one of the great mysteries of the Andes. 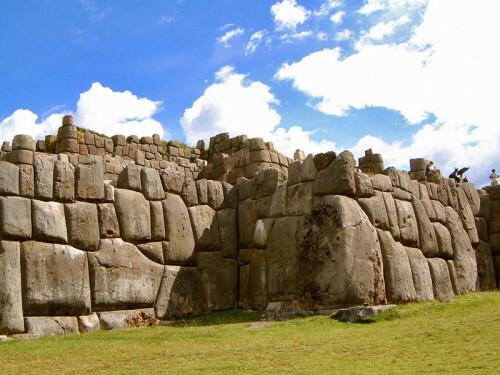 It consists of 6 massive andesite monoliths, which are curiously divided by small strips, which seem to serve little purpose other than to add a modern riveted steel effect to this ancient wall. The rocks are all masterfully crafted to leave not even a paper-thin crack between them. Archaeologists can only guess that its purpose was to face the winter sun, whilst scientists have only been able to add to the mystery by demonstrating that the stones were dragged 4km from the quarry of Chachiqata on the other side of the 1000ft deep valley and across the Rio Vilcanota. Weighing between 50 and 100 tons a piece, the effort verges on impossible, whilst the reasoning appears to be little more than to dumbfound all that gaze upon them. Littered around the Temple Hill are even larger blocks called the “Tired Stones”, named so after the local belief that they were too tired to reach their final destination within the complex. It is believed that this gargantuan building site was intended to become a Temple of the Sun, but work was abandoned for reasons unknown. 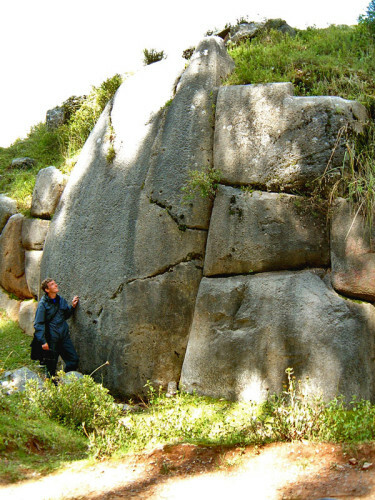 If dragging 100 ton blocks around like they were bales of hay wasn’t impressive enough, then another of the great mysteries of the Andes can be found in the eastern section of the city, in an area known as the Inka Misana. Along with a series of incredibly well engineered canals, aqueducts and waterfalls, there are large sections of cliff that have been cut away as though it were made of cheese. The peculiar series of smooth walls appear to be the scars of quarrying, but no-one knows how they could have removed such large chunks of rock and leave such a polished surface. There are also odd protrusions left on the otherwise flat surface, some of which are perfectly round and look pegs. 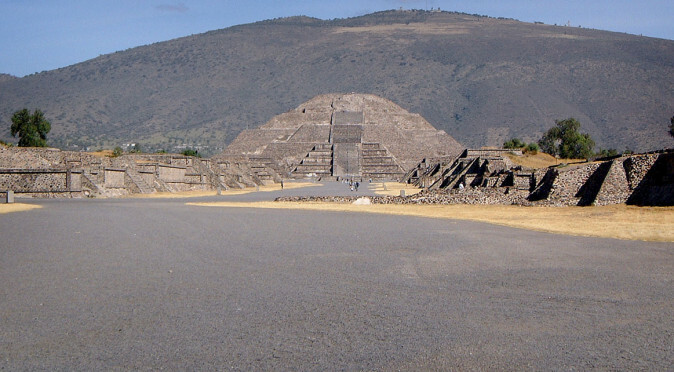 To further convince that these smooth recesses were left by design, similar shapes are found down on ground level where they form fountains and a throne. One example is thought to have worked as a solar clock, with the odd circular protrusions casting shadows on a series of carved benches beneath. 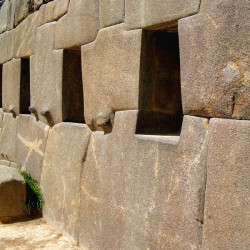 Similar examples are found throughout the Inca Misana area, which has led to a growing belief that the Inca used precision power tools that are unknown to us now. This, they say, is also evident in the incredible accuracy with which they cut their stonework and monoliths in order to slot them together so precisely. Many go on to claim that this technology was given to them by extra-terrestrials. A more earthly suggestion, and one that is supported by the Inca’s own accounts, is that they knew of ways to soften stone, or even disaggregate it, using combinations of plant extracts, heat and minerals. From Cusco, the adventure must continue to Lake Titicaca. Located at 12,507 feet above sea level and measuring 118 miles long and 50 miles wide, Lake Titicaca is the highest navigable lake in the world. The Inca believed it to be the centre of the cosmos and the place where Viracocha created the sun, moon and stars by plucking islands from the great lake. 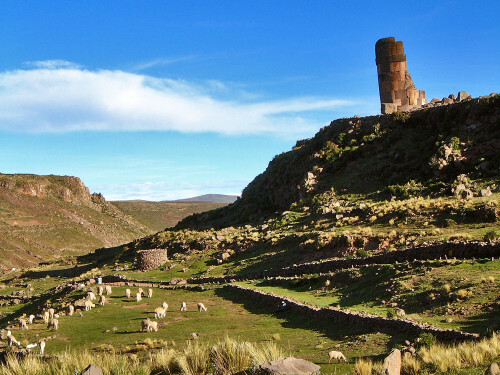 The route from Cusco leads across the high tundra plains of the Andes, known as the altiplano, which is home to some of the most spectacular scenery on earth. 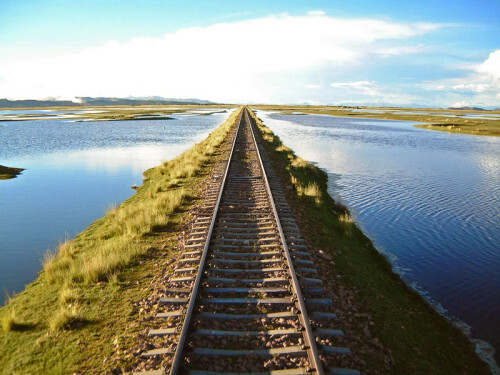 There are certainly cheaper ways to get there, but none will deliver a better view of this breathtaking landscape than Peru Rail’s Andean Explorer from Cusco to Puno (see //www.perurail.com/tour-virtual/andean-explorer-bar.html). It is a ten hour journey that you will not want to end. 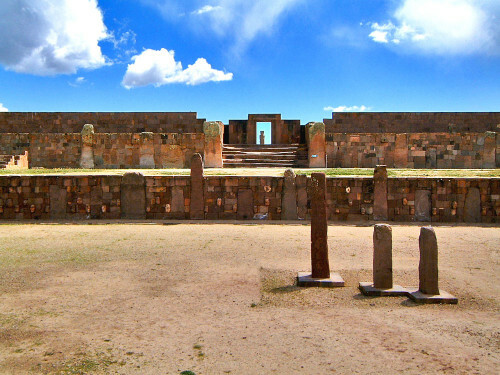 This enigmatic cemetery lies on the desolate plains of the Andean altiplano, silently overlooking Lago Umayo. 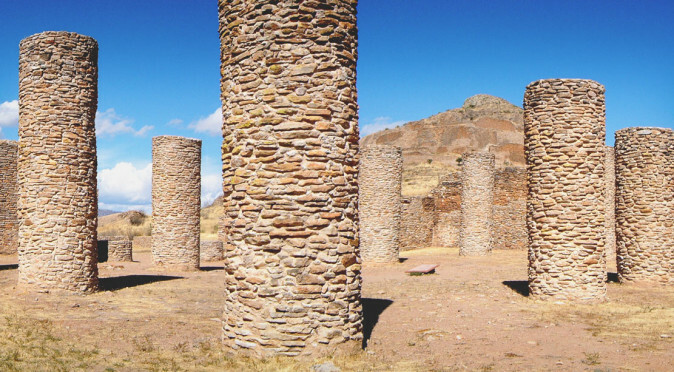 The circular towers are tombs for Armara and Inca royalty and are known colloquially as chullpa. Although they now stand crumbling and empty, the decay only adds to the powerful sense of impermanence and mortality. Their lonely setting within the vast and beautiful wilderness further emphasises how temporal human life is, no matter how great your achievements. A single window was set in the eastern wall of these tubular mausoleums to let the rising sun enter the tomb and bring the life of a new day to the deceased. The chullpas were designed to hold whole families, who were each interred in a foetal position ready to be reborn. Although unintentional, many of the bodies were mummified due to the arid conditions of the altiplano combined with the closed tombs. 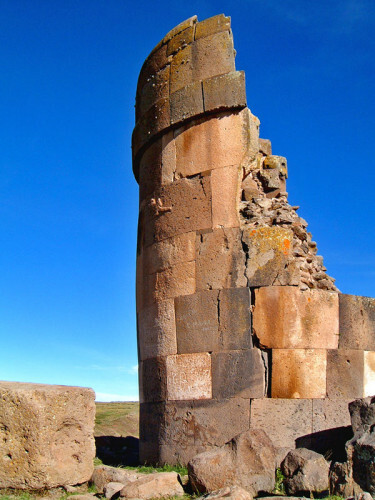 The towers of finely dressed stone are clearly Inca, whilst the more modest towers of field-stone and mortar belong to the older Aymara people. This charming, rustic island set in the heart of Lake Titicaca offers the authentic feel of Bolivian life, both modern and ancient. The island has no roads, no motor vehicles and remains almost self-sufficient, with the 800 or so resident families working the land, farming, fishing, and catering for the tourism that manages to reach this remote spot. 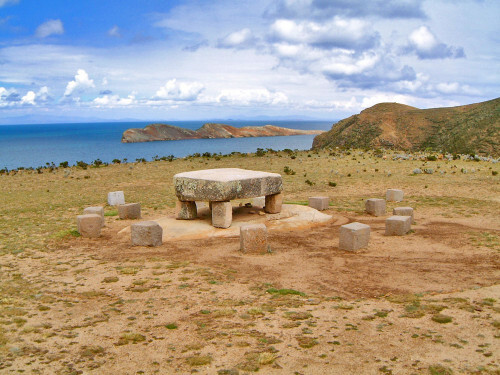 The Isla Del Sol has a long history and plays a central part in the creation myths of the Inca, Aymara and Tiwanaku cultures. 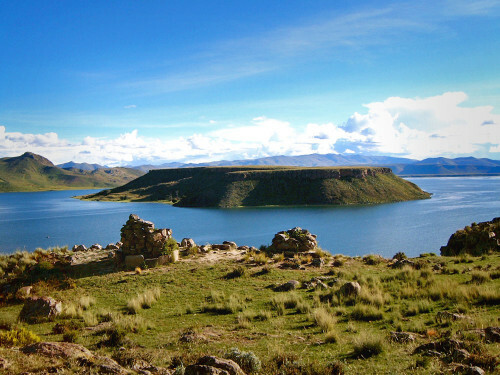 It also lends its name to the lake, for the Aymara name for the island is Tihksi’kala, meaning “foundation stone”, which relates to a sacred rock that is found on the northern peninsula and known today as Titi Qala, or Roca Sagrada (Sacred Rock). This rock is associated with many legends surrounding the creation of mankind and the raising of the sun. The first story states that the bearded legend, Viracocha, raised the sun on this island to bring the dawn of a new age of man. 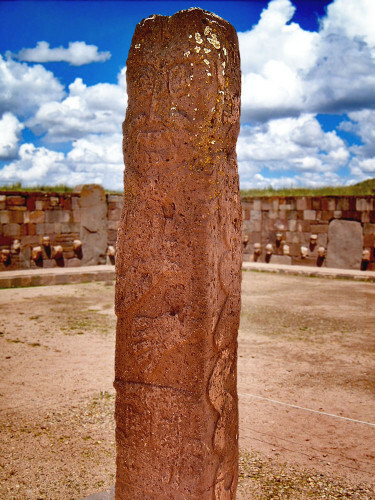 Another states that Manco Cápac, the son of Inti (the Sun God), was born from the crack in the sacred rock before going on to found the Inca civilisation. 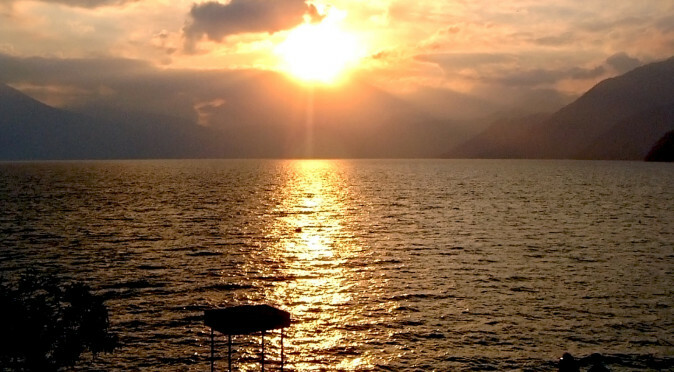 Another legend states that the sun hid within this sacred stone during a great flood and that when the waters subsided, the Isla Del Sol was the first to rise up out of the lake, at which point the sun rose again out of the crack. 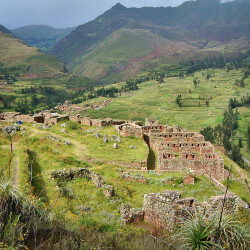 Considering its size, there are an unprecedented number of ancient ruins, more than 80, most of which date to Inca times, but some date back as far as the third millennium BC, when the island was first inhabited. 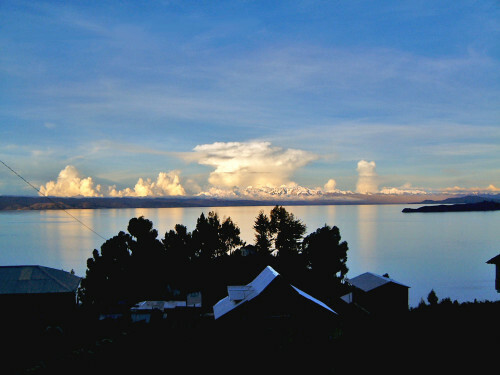 The Isla Del Sol is approximately 10km long and, on average, a couple of kilometres wide. Circumnavigating it on foot makes for a blissfully peaceful, interesting and cultural day out. 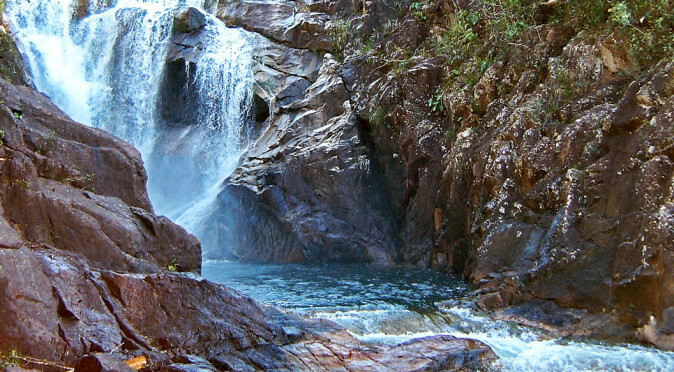 Depending on just how much of it you want to explore, the total walk will be between 20-30km. Tracks criss-cross the island, dropping down to the beaches, through the fields, past football pitches, amongst grazing sheep and into a variety of archaeological ruins. It seems that the more remote a civilisation becomes, the more abstract its ideas, its theologies and its art become. Set in the barren wilderness of the Bolivian altiplano, few sites are as remote as the ancient city of Tiwanaku, and what remains of the city today is barely comprehensible. 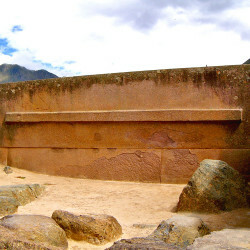 Many of the greatest mysteries of the Andes are found scattered amongst it ruins and it is the focus of many alternative historical theories, ancient alien theories, ancient transoceanic contact theories, and even Atlantis theories. 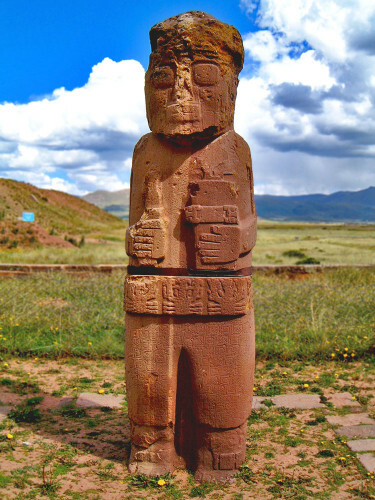 Tiwanaku has become a library of the unexplained. It is regularly frequented (often with camera crew in tow) by pseudo-archaeologists, Ufologists, mystics, spiritualists and anyone else who takes an interest in the profound and unexplained mysteries of the world. 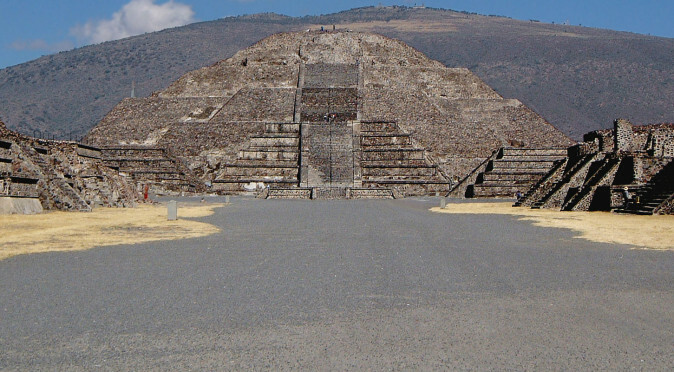 One of its many iconic monuments is the Gate of the Sun – a free-standing andesite monolith that measures 2.8m high and 3.8m and has a large doorway carved into it. Standing isolated and leading nowhere, it is easy to see why so many consider it to be a magical portal or stargate. Covered in mystical carvings of winged beings and with a godly figure floating above the doorway, the gate is haunting and surreal. 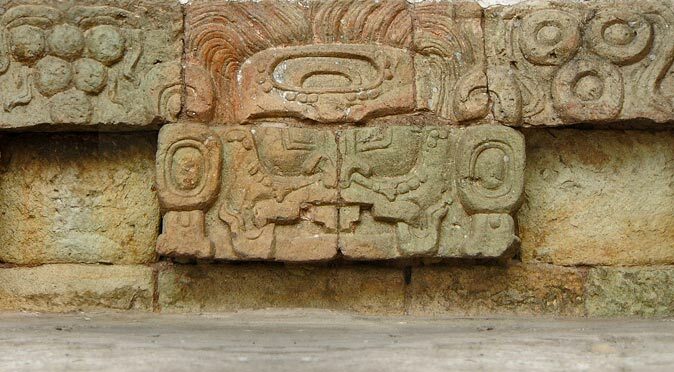 The supreme-being is thought to be the Sun God, and the gateway is thought to have once been aligned to let the sun shine through on the solstice. 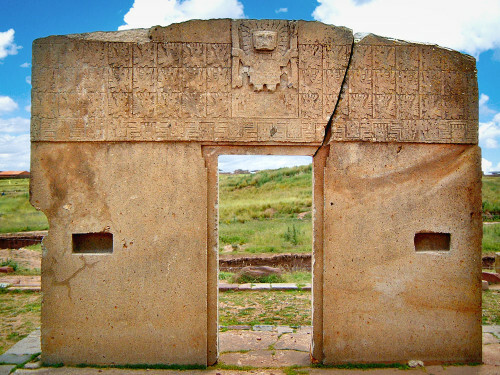 Just 20 minutes walk from the main archaeological site of Tiwanaku, lie the even more absurd ruins of Puma Punku. 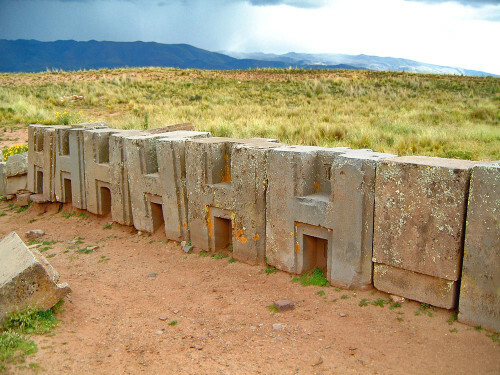 Described by researcher Arthur Posnansky as a port, due to evidence of a salt water tide-line on the large stone platforms, and featuring many obscurely cut stones such as the H-Blocks, Puma Punku is possibly the most hotly debated archaeological site in the world and undoubtedly one of the greatest mysteries of the Andes. The idea that it was a port has been largely discredited, not because the evidence doesn’t exist, but because the shoreline of Lake Titicaca is 15km away and has not been in the vicinity of Puma Punku within the last 100,000 years. However, some researchers claims that the tilt of the earth has been affected in the last 12,000 years and this caused the shoreline to move. Pseudo-historian Erich von Daniken put Puma Punku in the spotlight in his infamous book, Chariot of the Gods, by detailing how the advanced stone-working would have been impossible for the stone-age inhabitants (which is arguably true) and therefore it must have been built by extra-terrestrials (a fairly extreme solution). 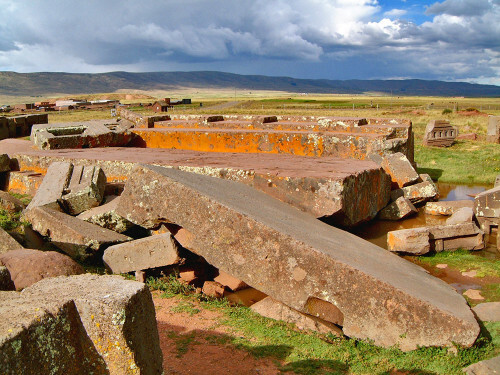 The stone-work of Puma Punku remains largely inexplicable. Attempts to provide logical theories on the purposes of the H-Blocks are as only slightly less absurd than the claims that they were part of a UFO landing area. Their uniformity suggests they were made from moulds. Throughout Puma Punka, the accuracy of their measurements and right-angles is unbelievable. 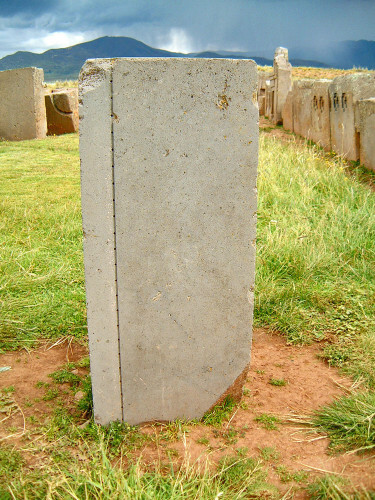 Whilst historians now state the site was a temple complex and not a port, the enormous effort expended on moving the gigantic blocks of stone for the Plataforma Litica from the quarry 6 miles away, suggests they were meant for a greater purpose than to from the foundations of a temple or platform. 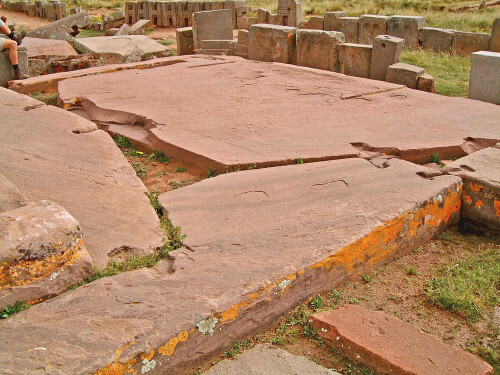 Another mystery is why these beautifully crafted stones that weigh upward of 100 tons, are cut with I-shaped cramp marks, when the strongest metal they had was a copper alloy that would not have stood a chance of holding such enormous blocks together. One suggestion is that they were designed to improve the conductivity of the platform, which in turn was designed to harness the earth’s electromagnetism for the purposes of spiritual empowerment or rejuvenation. However, the greatest mystery of all is simply the quality of the workmanship. This is exemplified by an andesite block into which they were able to precision-cut a perfectly straight 6mm wide groove, into which they drilled twenty-four equidistant 6mm holes using nothing but stone tools (the metal tools they had would have been too soft). Finding stone-age methods capable of performing such precision stone-cutting remains illusive. The reasons for producing these eccentricities remain incomprehensible. Looking around Puma Punku, one can easily come to the conclusion that the people of Tiwanaku didn’t know what they were for either. South America is an enormous continent with much to do, but exploring the mysteries of the Andes should be high on your list. It is not about history, it is about exploring human endeavour, visiting the unknown and discovering the unthinkable. What possibly inspired these incredible feats of ingenuity? How did ancient civilisations achieve so much with brute strength and stone tools? What drove thousands of men to dedicate their lives to create these perplexing cities and their monuments? We will probably never know, which makes the journey a poignant one. You may be surprised by your own logic as you come face to face with an unknowable truth. Page 6.Q’enqo has a zigzag design carved in the living rock. I assume the zig zag carving channels water. Note that the Ancient Egyptian hieroglyphic for water is a zigzag line. Water, beer, or blood. No one is entirely sure what the zig-zag channel was used for, but it certainly appears to have been used to channel liquid from the top to the bottom. At Amaru Maru, near Lake Titicaca Peru there is a rock formation that was up lifted by the Pacific plate activity causing stratified rock to slope at approx. 26 deg 18 min 9.7 sec relative to the lay of the land. A finely carved depression was carved into the the rock to emphasize that the angle is a right angle triangle. Some call the sculpture The Gate to Nowhere. The sculpture wasn’t carved by aliens but it is found in the interior of the Great Pyramid that was built by humans.